In every community, there are people who have the resources to offer support to those who are living with a mental illness. 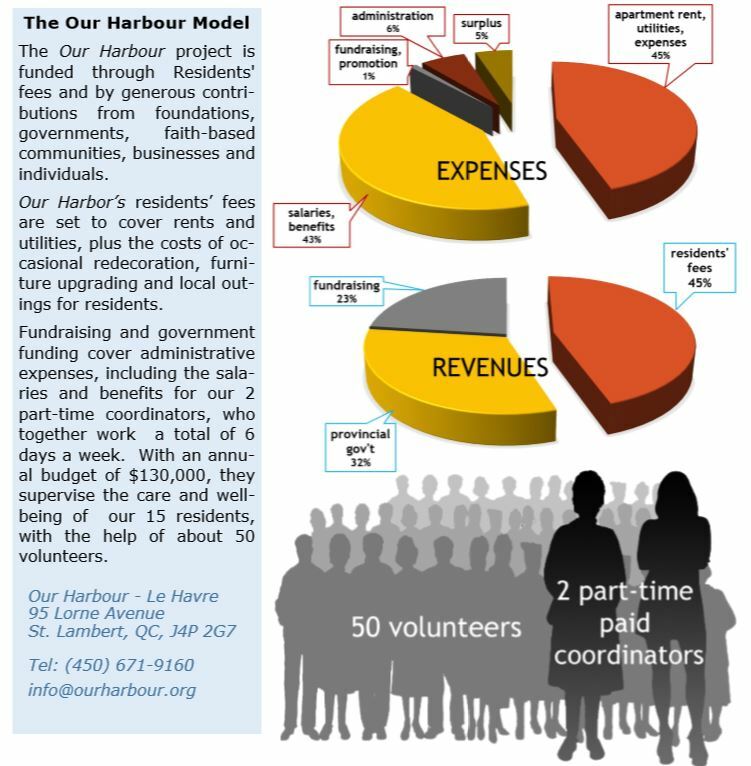 By linking different communities – faith communities, the medical community, the civic and social communities – with those struggling with a mental illness, Our Harbour helps to bind the various members closer together, encouraging synergistic cooperation. By providing supportive housing and contributing our help with daily life management, we are able to offer people living with a mental illness the opportunity to enhance the quality of their lives and to find their place in the community. As a result, our residents find friendship, lead happy and productive lives, and significantly reduce their risk of re-hospitalization.